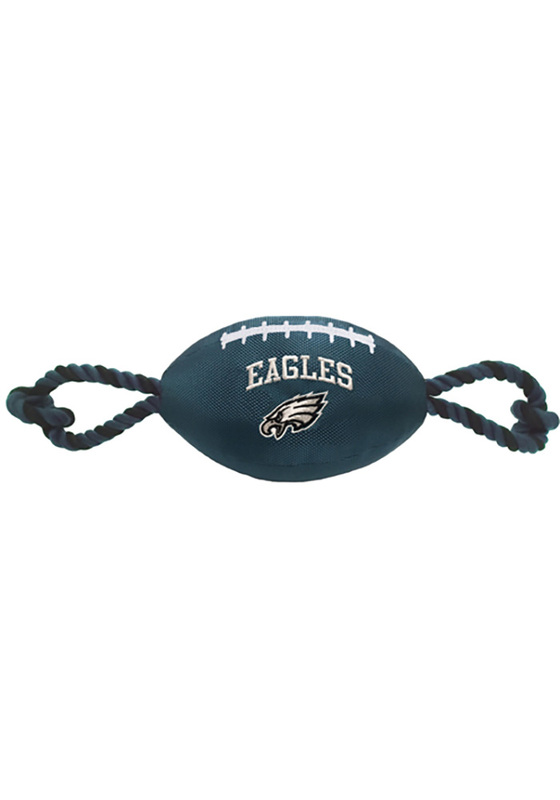 Entertain your pet with this Philadelphia Eagles Nylon Football Pet Toy. Your pet will love playing with this Philadelphia Eagles Pet Toy, which features a nylon football toy that has an embroidered team logo on the front, and the team logo on the back. Also includes a squeaker and contrast rope.